The old retaining wall (which failed) was constructed on soils that were sliding downhill! The rock was too deep to put the new retaining wall on the bedrock, so we drilled piers down to the bedrock to stop the hill from sliding and to support the new retaining wall. 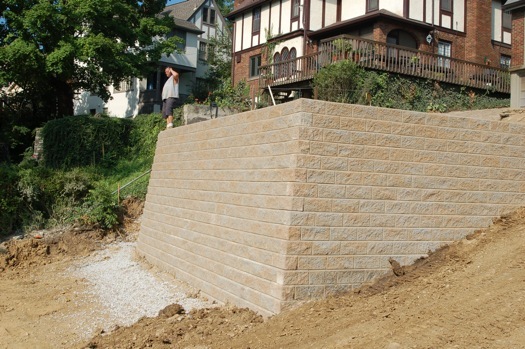 This video shows you how to prevent a retaining wall failure when there are sliding soils! Tiered or Merged Retaining Walls? How far apart are the walls? Are they really two separate, independent walls? 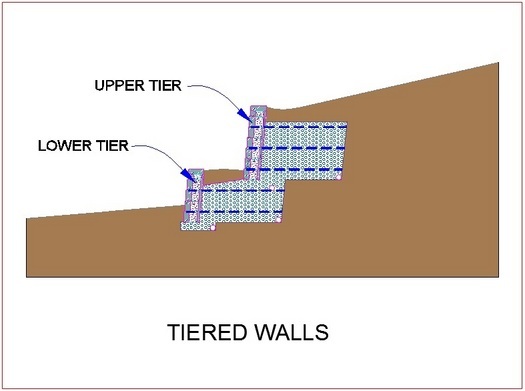 Do the two tiers of wall join and become one (merged) wall? 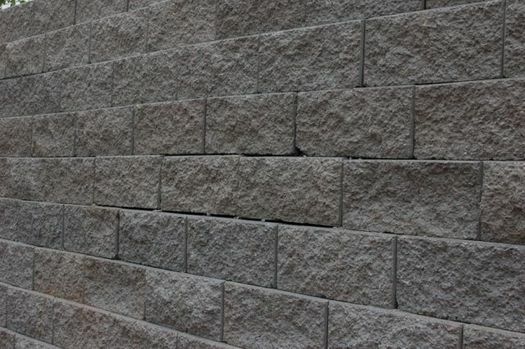 This short article discusses retaining wall block tolerance: what it is, what are the limits, and what happens when blocks are manufactured "out of tolerance". 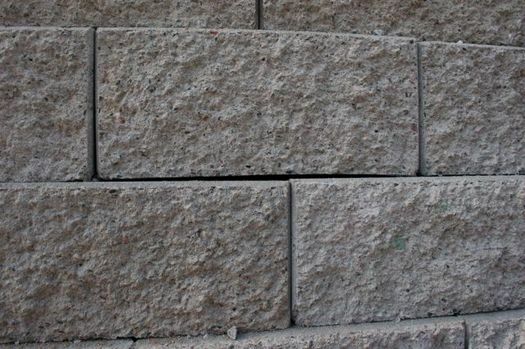 Segmental retaining wall blocks do not use mortar. They are simply stacked one upon another. Sometimes there are grooves, or lips, or pins or clips that align the blocks. However, the blocks always rest one upon another. Our past videos (like this one) and articles discuss the critical importance of getting your first row of blocks perfectly level. The blocks must be level front-to-rear and side-to-side. A perfectly level first-row of blocks will help make wall construction fast! Unless .... the blocks are out of tolerance! 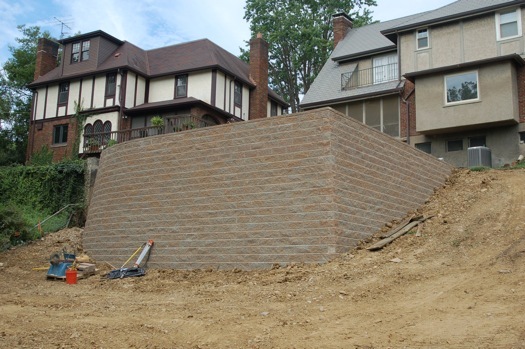 Obviously, retaining wall design involves contracts. These contracts between the Engineer and the Client are important. Does the contract benefit both parties? Is using contracts a win-win? 4. To identify and allocate risk fairly. A good contract fairly allocates reasonable risk to both parties, based on the benefits of the project to each party. Here's an example of fair allocation of reasonable risk: when the contract includes a Limitation of Liability for the Engineer. Why, you might ask, am I limiting the Engineer's liability and how is that fair? Well, here's how it is fair: The Engineer doesn't demand an Unlimited Fee. With an unlimited fee comes unlimited liability. With a limited fee there is limited liability. Sounds fair to me. What do you think?